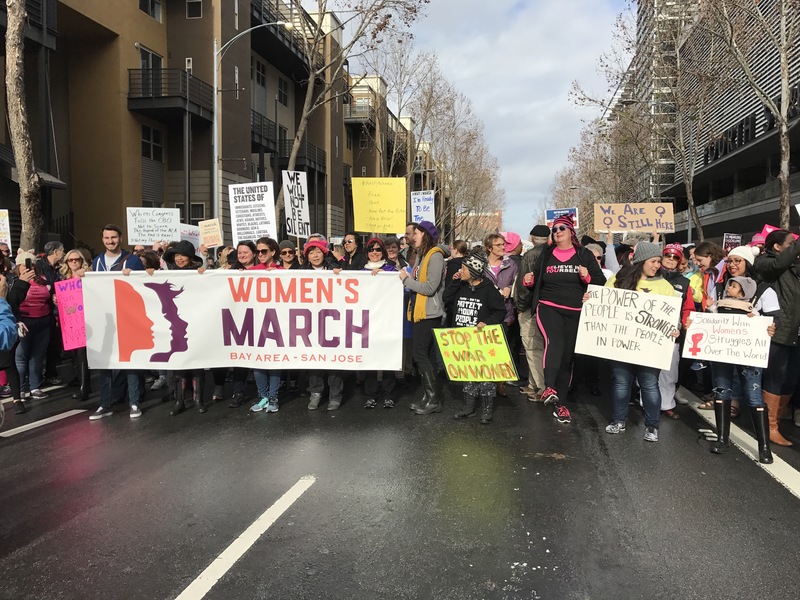 It was my privilege to participate in several rallies including The Women’s March in San Jose, CA, where my friend Mei Hsei and I served as Peace Advisors, and due to how peaceful the record breaking crowd and observers were ended up only be utilized for crowd direction alongside several members of the SJPD. The last rally I took place in was the Not My President’s Day event at SJ City Hall. I also proudly mailed out fifteen postcards for the Ides of Trump to flood The White House with messages of dissent. 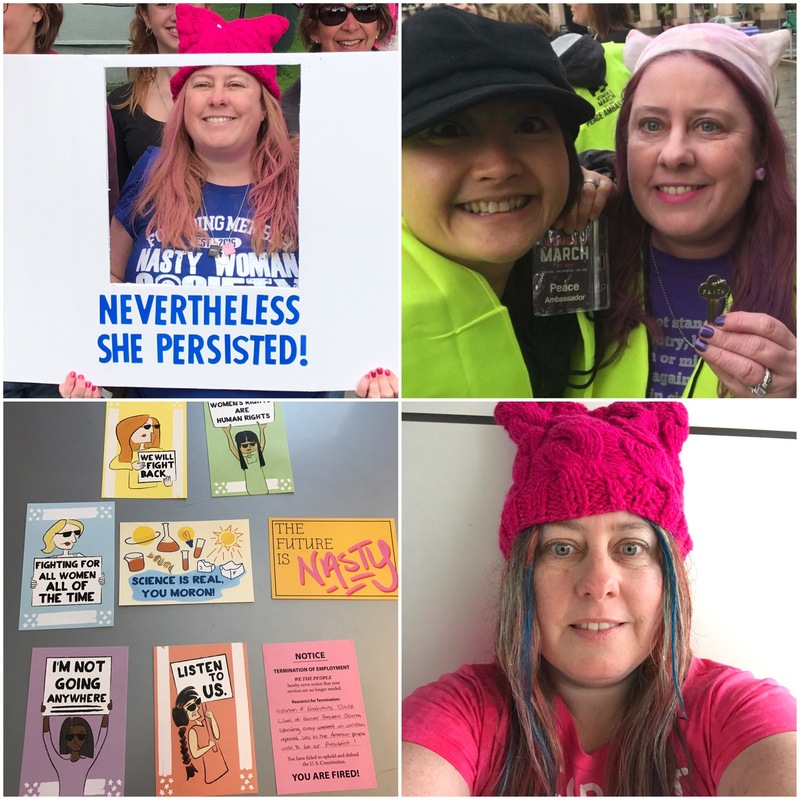 At the Not My President’s Day Rally, participants were allowed to speak and one of the topics on my mind was needing to preserve health care insurance. Insurance allowed my friend Colleen to have two brain surgeries for her epilepsy, in addition to making preventative health care affordable for countless others including myself. I did not know when I was taking place in two of the events that I was expecting, in fact on February 20th the day of the Not My President’s Day Rally is the day my now fetus is estimated to have implanted in my womb. I’ve been blessed to have been very healthy in my life. I believe health insurance is important for everyone and am grateful for the 10 Essential Health Benefits still covered under the Affordable Care Act, also known as the ACA or Obamacare. One of these is prenatal care for which I am especially grateful. As a high risk mom to be, my doctor will no doubt order more tests to help my baby develop and be born healthy. To the surprise of my husband and myself I received a notice on Saturday from my insurer that they would not be paying a bill for $427. It took both my husband and I calling them to get clarification, at first I was told it was for radiology which makes no sense as I haven’t had an X-ray in years though I have had two sonograms. The bill was for this, the first uktrasound I received which estimated my then embryo at 6 weeks. I spent over an hour taking with the representative and Matt spoke to them hours later. Despite a screen shot of the benefits of our policy including that has one word next to Prenatal Program: covered. The representative Matt spoke to said that it was confusing and that the ultrasound was for maternity not prenatal. Aren’t they the same thing, apparently the rep didn’t explain them as being all that different, so we’re stumped. We are confused at this point and we are going to appeal. 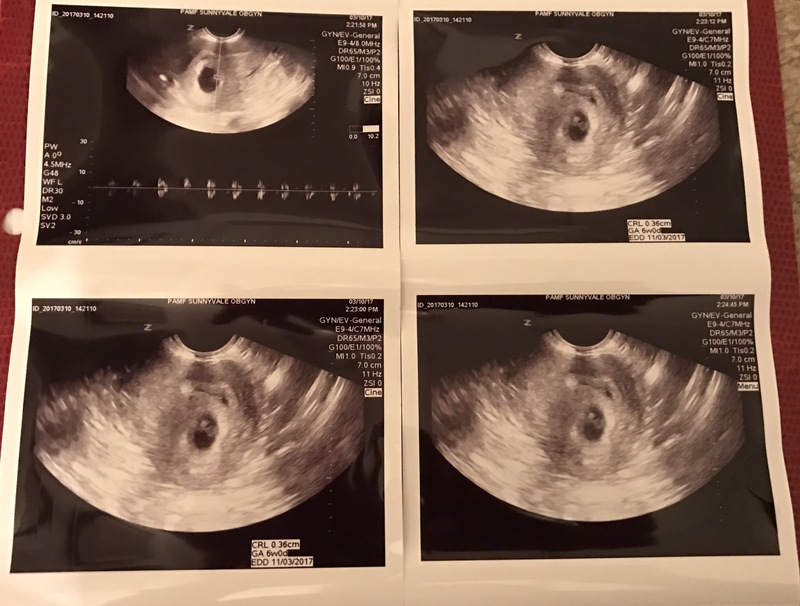 I’ve had two ultrasounds and will probably have another at my next appointment next Wednesday when I’ll be 10 weeks and 2 days. In addition to helping document our baby’s growth the tests help determine the health of our baby. I will do whatever I can to help our baby grow healthy and strong and as a proud resister already, if the insurance company wants a fight on benefits that clearly appear to be covered by them, they’ll get one!